During the last week of January, I was fortunate enough to be in Florida playing baseball while Northern Virginia shoveled out from under 2+ feet of snow. While on the field one day, I looked up and saw a drone hovering overhead filming our warm ups. It got me thinking about the whole drone phenomenon. In real estate, I know we will be seeing more and more drone photography especially on large lots and estates. Drones can show creeks, depth of tree lines and other topographical elements much better than still photography. They can even be be used on more traditional homes to show paths to schools, shopping or other amenities near the home. 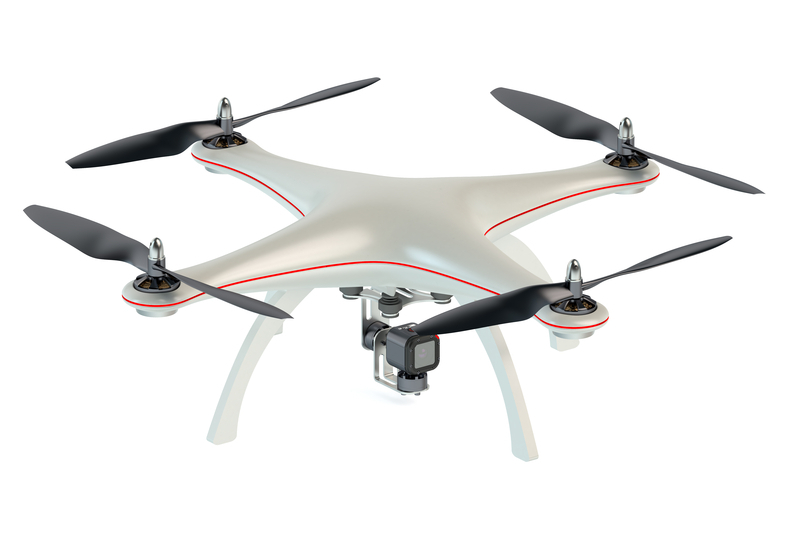 Some reports have mentioned that almost 1/3 of drone applications have been for real estate related pursuits. However…. Drones may seem pretty innocent but they are not completely safe. A New York man was killed when his drone hit him in the head. How would you like to be at your wedding getting ready to kiss your bride when a drone drops out of the sky and knocks you down. It happenend. Can you see a flock (I done know that the right term has been developed – squadron perhaps?) of drones hovering over a pile up on the highway or some other emergency scene, crashing into each other and falling out of the sky creating more havoc? Maybe years from now when it is commonplace, I will feel differently but on that sunny Florida morning, I felt my privacy had been invaded while being filmed from the sky. I know, everywhere we go – parking lots, shopping malls, office buildings – we are being filmed by security cameras. And, sure the government might have surveillance drones high in the sky watching who knows what. Somehow that feels different. You don’t expect, unless there is a crime in progress or some threat to our security that the footage will end up on the internet. But film from private drone operators? Think the paparazzi is bad now? Wait until they get their eye in the sky and track people of interest with a drone. Or angry spouses getting film for court. Or voyeuristic operators hovering in sight of open windows. But this is a real estate blog so let’s get to why I posted this here in the first place. Decades ago, when drone referred to a bee and the next great electronic device on the horizon was a fax machine, I got my real estate license. In real estate class, I learned that a property owner owns all of the land beneath their home except in some situations where mineral rights can be sold separately. And they own all of the air space above their home. For instance, if your neighbor’s tree branch crosses into your yard, you can cut off the part of the branch in your air space as long as you don’t kill their tree. Now I have learned that “technically” the FAA controls all air space. Okay, until the advent of drones, who cared. Planes flew hundreds and thousands of feet above your property in your air space. And they didn’t hover over your back yard taking pictures. Recently, in Kentucky,Mr. Boggs flew his drone over Mr. Merideth’s land. Mr. Meredith took offense and shot down Mr. Boggs’ drone. No surprise, the case is in court. I don’t think Mr. Boggs is concerned about his $1500 drone as much as he is about pushing this issue of air rights. Now there is no indication that Mr. Boggs was doing anything nefarious. It is just that Mr. Meredith felt he should be able to enjoy his backyard without Mr. Boggs filming his cookout. There were disputes about how high the drone was flying and whether it was at tree height or 100 feet higher but if height becomes the standard, we will have a new class of forensic investigators doing triangulation on drone droppings. Who do you think is in the right Mr. Boggs or Mr. Meredith? Let’s go to the next question. Some package company wants to deliver to your neighbor using a drone. Maybe it has a camera or maybe it doesn’t. Can it fly 50 feet over your property and disturb your peace and quiet so it can get to your neighbor’s home? Or must it follow the street line and then what would it be like to have a drone 50 ft over the ground going down your street. Go back to the top regarding the safety issues. Can you see a bunch of neighborhood kids racing the drone only to have it fail and drop on their heads? I will be curious to see how this all plays out. Let me know your thoughts. As a pilot who is a bit familiar with the problem, I would like to add that the FAA has already set guidelines (because the rulings are still being discussed as they slowly move into law). You can see the current thinking at FAA Model Aircraft Public Operations. Basically the salient points are 1) below 400 feet and 2) not near people or stadiums. Below 400 feet is to prevent interference with aircraft and the “not near” is to avoid problems like with Mr. Merideth. I am hoping that somewhere the air space over you home, maybe up to 400 feet, becomes yours to defend should a drone intrude. Of course, the high definition zoom camera allows observation from a distance so privacy is still a fading right. Thanks for your note. I hope the drone flying over a home is not determined to be 425 feet when the homeowners take it out. I agree. Privacy is a fading right. Now, it is not near people and stadiums but how long will that last with pressure from delivery companies pressuring to use drones to drop packages at your front door?